Be pro-active during February. Christmas and the sales are gone and you have no more excuses. Valentines gifts need to be gifts from the heart and your purse need to stay firmly shut. I have a plan to save quite a bit this month. I have said many times how great I find own branded food at budget supermarkets yet often I find myself at pricey local supermarkets because I am not organised enough. Well supermarket trips are going in the diary along with meal planning so no more excuses. It’s the perfect time to shop around on comparison sites, and to make calls to these not listed to see how much better a deal you can bag. I bet you will make some savings don’t just lazily accept what you have done as the best option. My son wears his clothes hard and they often end up holey and I get rid. But these are play clothes and a bit of neat sewing could patch them up just fine. I need to rope in my good friend who is a dab hand with a sewing machine and learn some basics, That hood ripped off can be sewn back on for sure and there’s definitely another season them left n his winter coat. Much as I try and reduce food waste fruit does spoil particularly bananas. 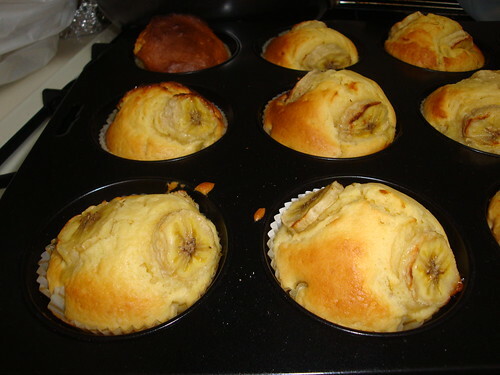 Here’s a little banana muffin recipe Even very little kids will love getting involved with all the squashing and squishing. Place 12 paper baking cases in a muffin tin. .
Sift together the flour, baking powder, bicarbonate of soda and salt;. Mix together mashed bananas, sugar, egg and melted butter in a big bowl. Fold in flour mixture, and mix until smooth paste. Spoon evenly into baking cases. Someone has also mentioned to me that spirulina tablets are a really getreat nutritional supplemnr that can make you feel great without having to spend a fortune n a spa and a personal trainer! Have you come across these? Indeed those food shopping bills can be enormous! Planning what to cook and then buy can save so much. Love the rhymes!